My name is Adriana, I am a wife and a mother in my mid-thirties and since I discovered the Paleo lifestyle a few years ago, my entire world changed in a good way. Today, my family eat healthy and I do not need to try any weight loss diet because the Paleo diet is all I need to keep my weight under control. I can cook the same recipe for my husband, my child and me. I’ve created this website to talk about and express my opinion on paleo diets and paleo guides and books, thinking that there are many people who need some help in making an educated decision before they make the move toward a Paleo lifestyle. I’m sure we’ve all tried so many different diets only to find out that they don’t have exactly what we need or they don’t work at all. So why would the Paleo diet succeed when others have failed to give us the body and health we desire so much? The purpose of this website is to help you decide if the Paleo diet is what you’ve been looking for. Having that said, I have strive to post my findings on this website so I can help consumers like you make informed purchasing decisions. I’ll be honest with you and I won’t make false informations. I’ll try my best to publish reviews of latest and the very best Paleo books, guides and products so that people get to make a decision on it properly. I hope you could find useful and in-depth information here. If you like what you see please do me a favor and share this website to other people that may need some help taking their decision regarding the Paleo diet. Again, I heartily thank you for visiting the website. It’s a great honor to meet you online and hope to have the pleasure of seeing you again soon. 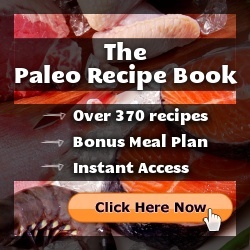 If you have any question related to “Your Guide To Paleo“, please feel free to contact me.